Discussion in 'PTC - PRS Tech Center' started by sergiodeblanc, Oct 17, 2018. So, I got this guitar as a gift, and it doesn’t come with a cover plate for the tremolo springs! I’ve seen a few PRS like this, and personally I think it’s BS that I have to buy one separately for what I’m sure this guitar cost my friends. 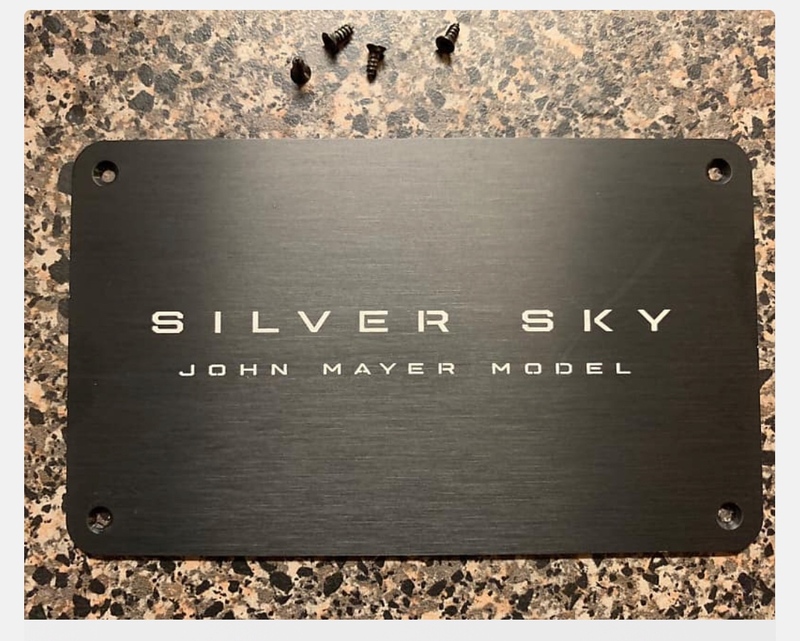 I noticed that the John Mayer (my second favorite guitar player next to Alex Lifeson) guitar doesn’t have one either, but I found one for sale on Reverb. My question’s are: Will this work for my guitar? I want to keep it original specs from the factory. Also, how will I be able to change the strings once I put this on? I notice there’s no screw holes on my guitar already, so do I just screw it down on my own? Or should I heat the finish up a bit over the stove or a candle to make the plastic finish softer? What would you do? I really hope I’m doing the right thing by installing this. I’m not sure if my guitar is a John Mayer or not, but since this guitar doesn’t have a backplate and the John Mayer doesn’t either I think no it must be. My guitar has a lot of birds and a seahorse sticker. Jazzedout, ScottR, Wakester and 11 others like this. I "highly" recommend that you use some sticky hash oil to adhere that plate to your forehead! Think of it as an awesome conversation starter! I thought that the top of the guitar where the tuner things are is called the forehead? I’m so glad I ask here first! Where do I buy sticky hash oil? And should I alway keep some on me for when changing strings? Yes, it is best after you're finished fidgeting with your guitar. Its guaranteed to make it sound better..
ScottR, Alnus Rubra, sergiodeblanc and 2 others like this. Yes, the top of the guitar is certainly the forehead! Some people call it the foreheadstalk (that's the front). The rear is often referred to as the threeheadstalk (cuz the tuner things are 3 a side). You can buy the sticky hash oil from that creepy looking guy downtown in the alley... you know the guy. Or you can come up to Canada and get some today! Just don't cross the border with it, or you'll be in a sticky situation! I don't usually recommend changing strings with sticky hash oil (now being referred to as SHO) cuz the pick gets stuck and those EVH solos are difficult as a result. ScottR, sergiodeblanc and Glide-bpm like this. ScottR, Alnus Rubra, sergiodeblanc and 1 other person like this. plywood plate and some Gorilla Glue..... aCk!!! Someone's back on the weed! ScottR, Alnus Rubra, Glide-bpm and 1 other person like this. Just another example of lazy American manufacturizing and cost cutting. Look the $500 Satnanta SE Standar comes with a blackplate. Why is PRS US to cheap too put one on the "expensive" version. ScottR, Alnus Rubra, bodia and 2 others like this. What's a Satnanta? Satnanta Clause? parallyze, Alnus Rubra, Glide-bpm and 1 other person like this. I can’t tell if it’s cost cutting or if they’re adopting the micro-transaction model. parallyze, Alnus Rubra, bodia and 1 other person like this. I hope you didn't buy that cover from Reverb. 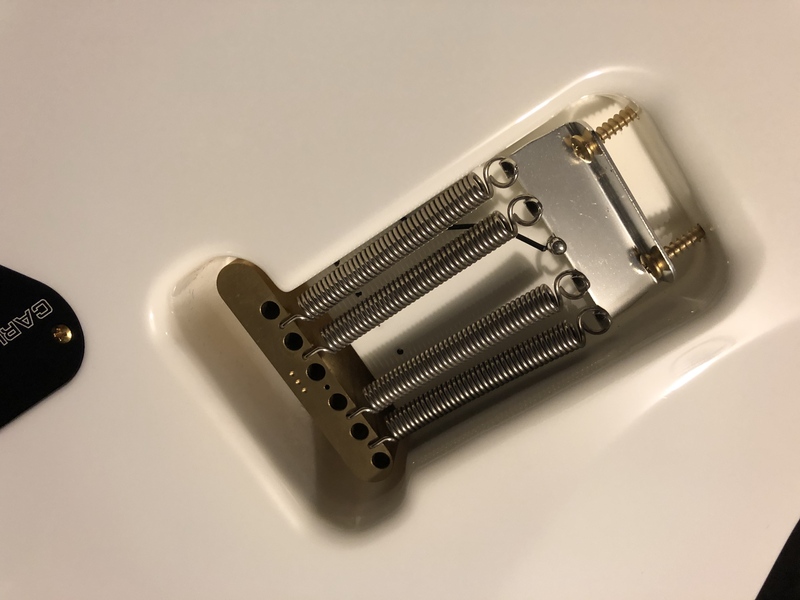 Your guitar doesn't have screw holes, so you won't be able to use the screws. You'll have to use nails for this one. Some people recommend four-penny nails, but I find that those cheaper nails don't hold up. You should get at least 12-penny nails to get the quality a PRS deserves. Alnus Rubra, Glide-bpm and sergiodeblanc like this. But there’s only four holes in the backplate! You’re suggesting I need to put twelve nails in there? Nope, just four more expensive ones. You only need more nails if you have insecurities, and you didn't mention the stock market, so I don't think that's an issue. garrett, Glide-bpm and sergiodeblanc like this. Don't forget to place the guitar face down on a pile of bricks to hammer them in. It stabilizes the tremolo and the top of the guitar. ViperDoc and sergiodeblanc like this.